Help Documents - Version 5 Where do I start?How do I change the Event Name? 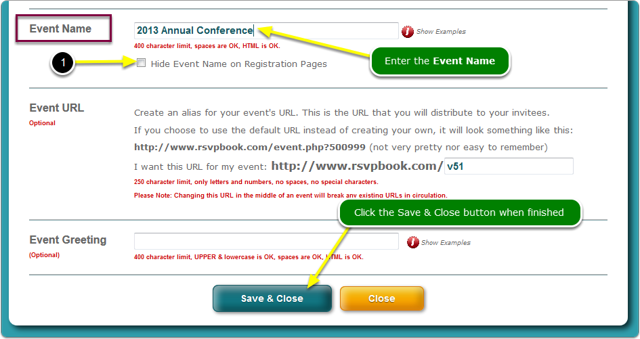 The Event Name is displayed at the top of the registration pages AND is the subject of the Email Confirmation messages. Where does the Event Name appear on the registration page? Open this document and look for black dot #3 - document will open in a new window. The Event Name displays at the top of the registration page. It is also used as the subject of the Confirmation Email message. If you don't want it in the subject of the confirmation email message, you may remove it using the Email Wizard tool. How do I change the Email Confirmation message? 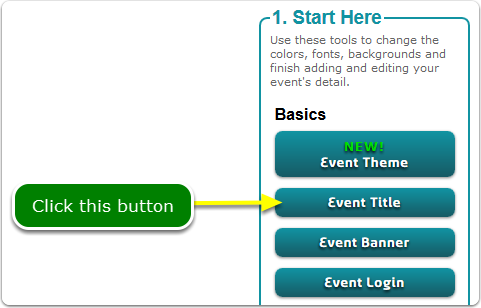 Prev: How do I define a Color Theme for my event? 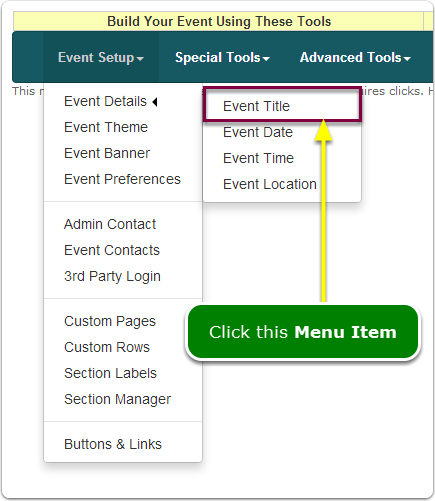 Next: How do I change the Event URL?